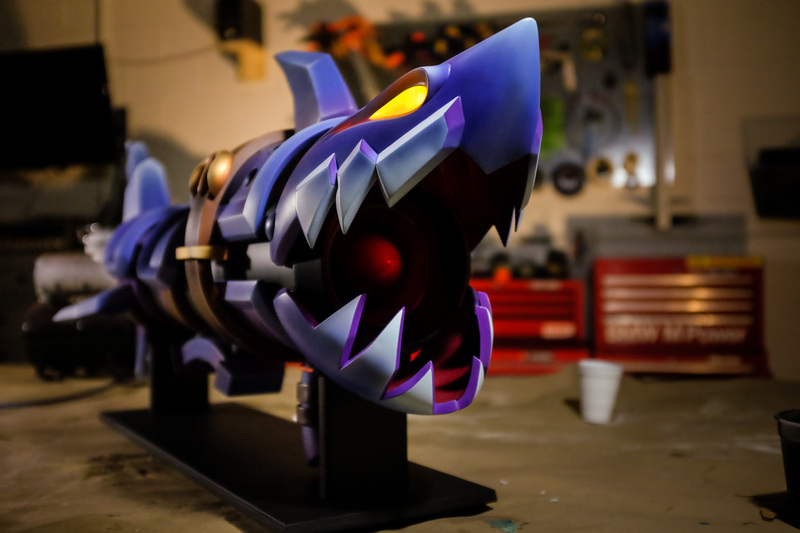 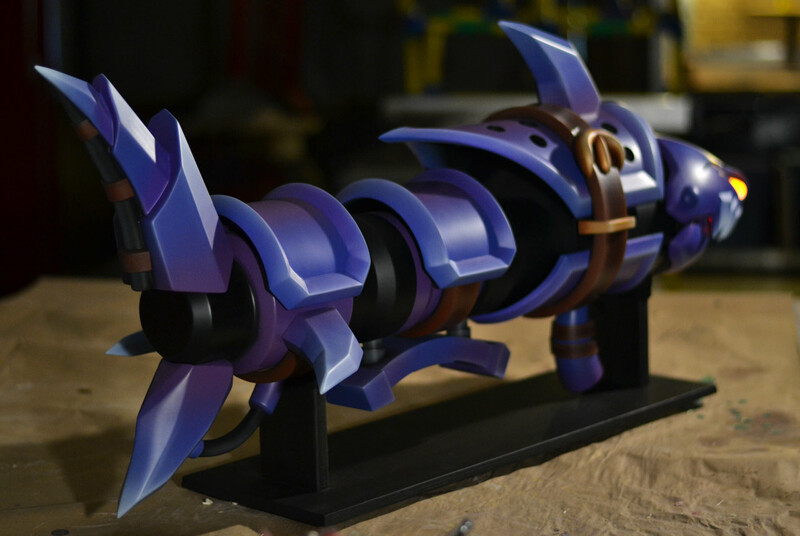 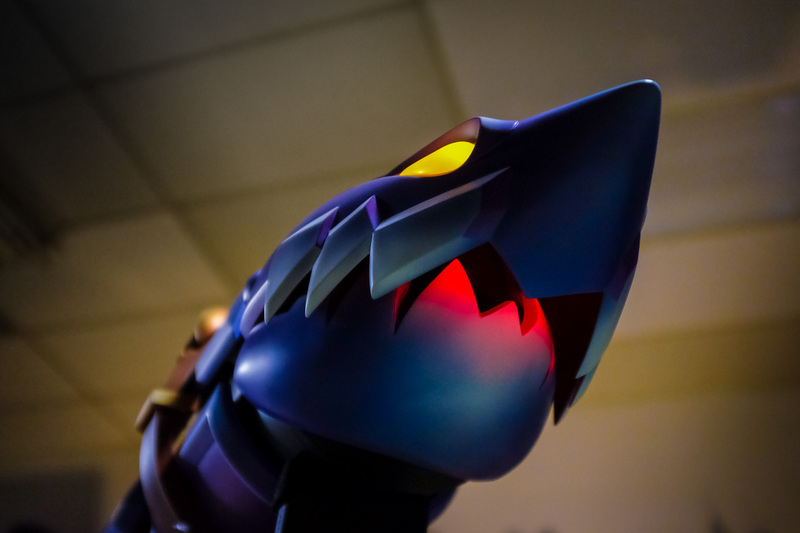 One of the largest replicas in my portfolio to date, Fishbones is a 43″ long shark-shaped rocket launcher that sports illuminated eyes and an articulated mouth. 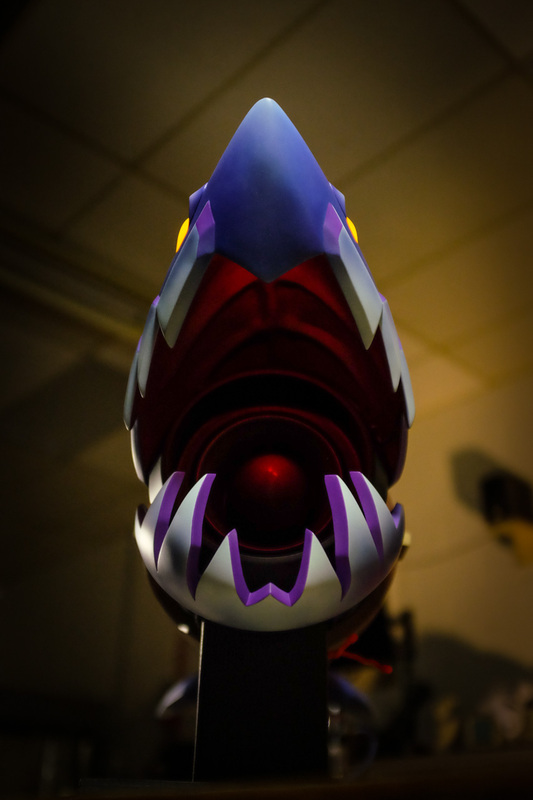 The upper and lower jaws pivot on spring loaded hinges and can be controlled like a puppet by the person wielding the weapon. 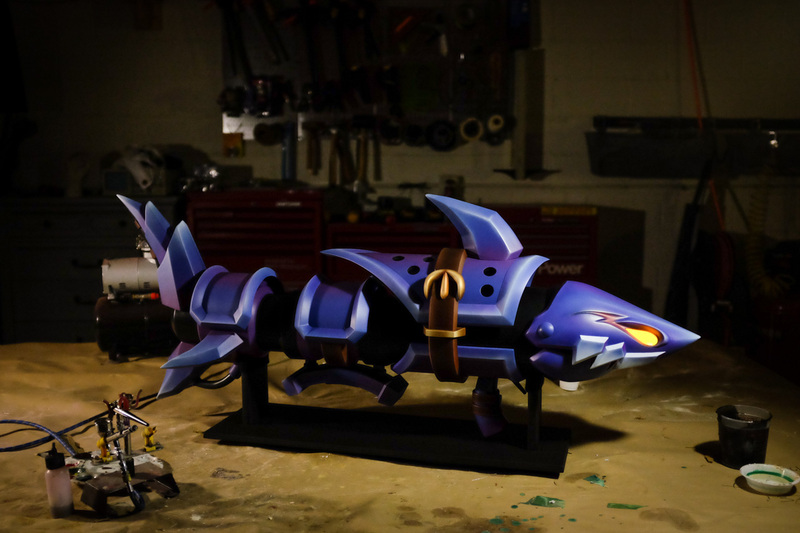 While primarily a display piece, Fishbones was built to be as lightweight as possible. 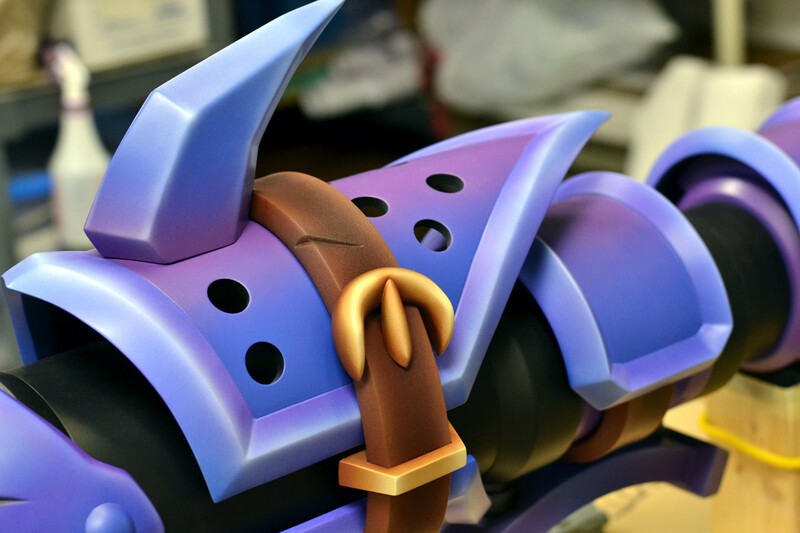 Foamed plastic was used for many of the armor plates and the head and jaws have been cast out of thin epoxy and glass fiber cloth. 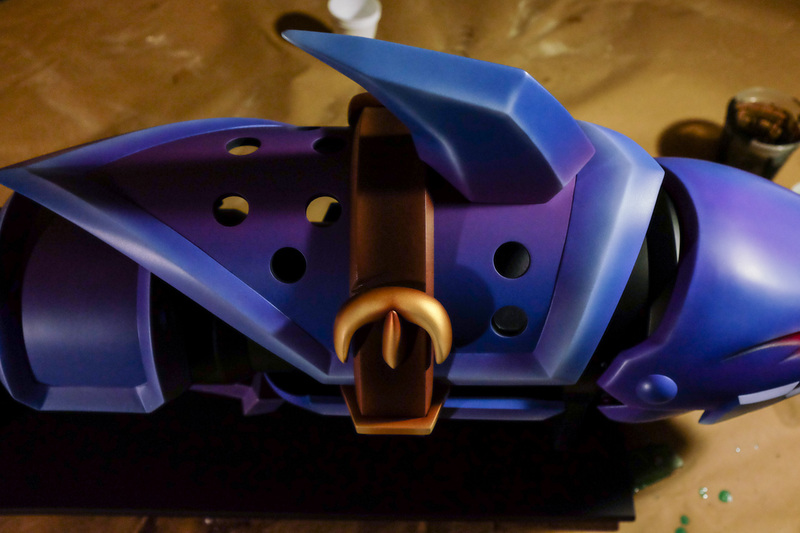 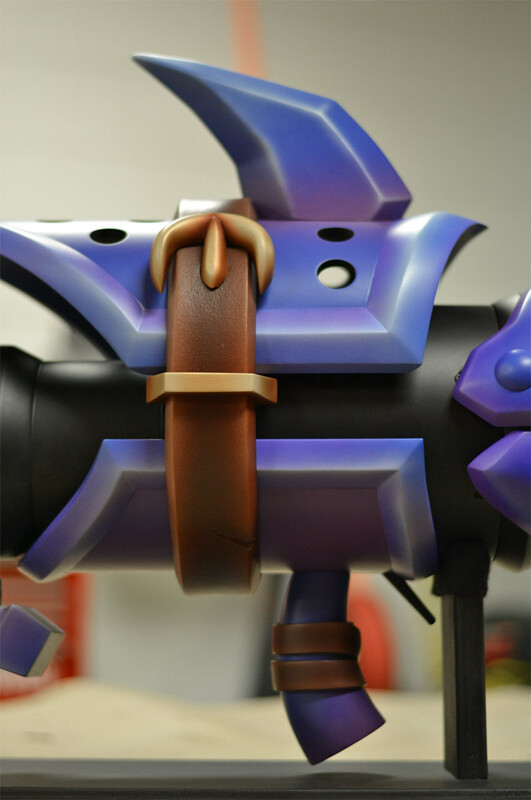 Other details were vacuum formed thin styrene, and the finished product weighs just over 10lbs. 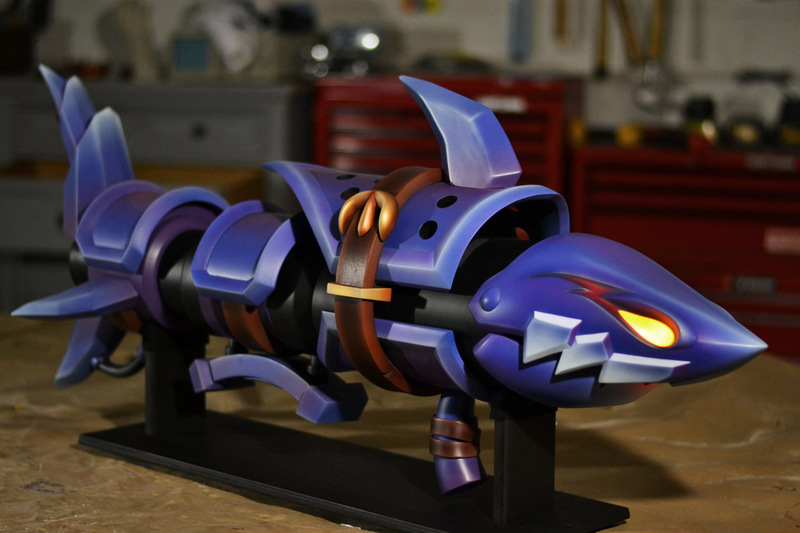 Not bad for a four foot shark cannon!